So for birthday dinner #14 (only slightly kidding), a few of my favorite girlfriends and I headed over to Restaurant No. 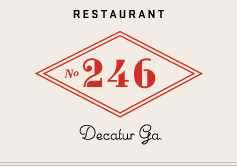 246 in Decatur. 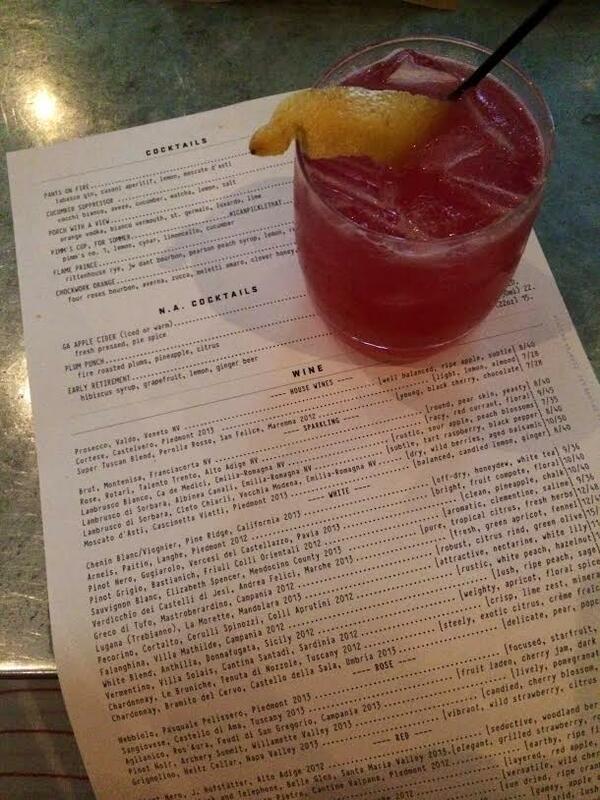 I’d heard several rave reviews about this little Italian-inspired spot, which was opened by the famed ATL Chef, Ford Fry, and Chef Drew Belline. The interior is just as interesting and beautiful as his other ATL hits — I especially loved the style of the bar below. 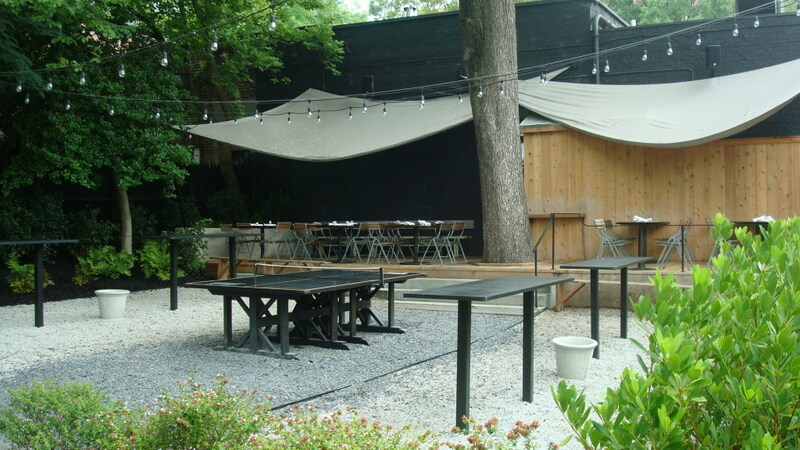 They also have a large outdoor patio, complete with string lights and ping pong tables. I’m excited to go back when the weather is cooler so we can enjoy that space, too. We started with fun birthday cocktails — including yummy non-alcoholic versions for our momma-to-be of the group. 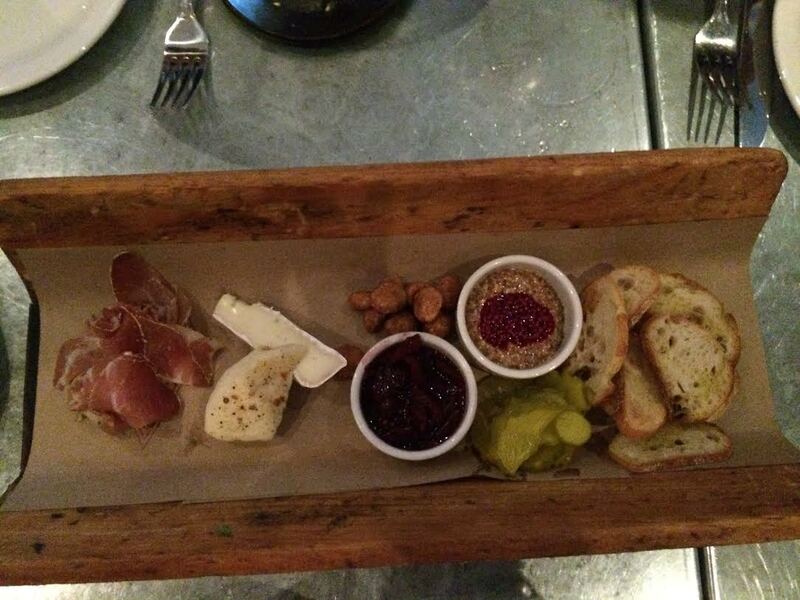 For starters, we chose a meat and cheese platter, which included Coppa and two GA-made cheeses, as well as candied nuts, stone ground mustard, toast, pickles, and macerated cherries. 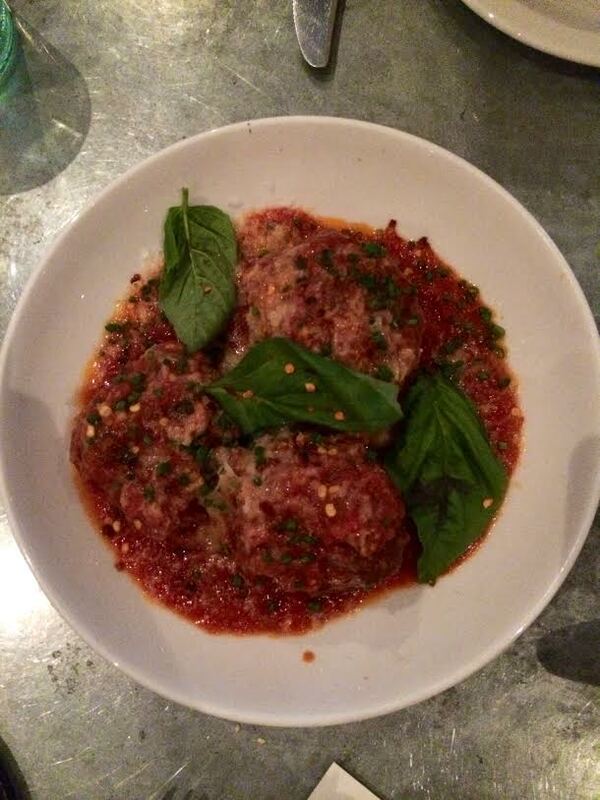 And after hearing such great things about the melt-in-your-mouth meatballs, we ordered 3. The sauce was so good, one of our friends scooped the rest of it up with a spoon and almost licked the bowl clean. By the time dinner rolled around, it was a bit too dark to snap any shots of the entrees. We may have also started eating them too quickly…. anyway, between the five of us, we tried three different pastas and a woodfired pizza. All were exceptional. The Summer Squash Pizza was made up of thinly sliced squash, truffle vinaigrette, mozzarella, and backyard herbs — literally from their backyard. It’s not something I would have been adventurous enough to order, but the thinly sliced squash was really nice in combination with everything else. We also tried the Agnolotti, which the waitress described as “pillows” or “little clouds” because the pasta looked like little clouds filled with goodness ( ricotta, corn, wild chanterelles, tarragon, humbolt fog). I could have eaten my entire dish in one sitting — the Pork Bolognese with a red wine sauce — but I refrained and kept some for lunch the next day. I kinda still dream about it. 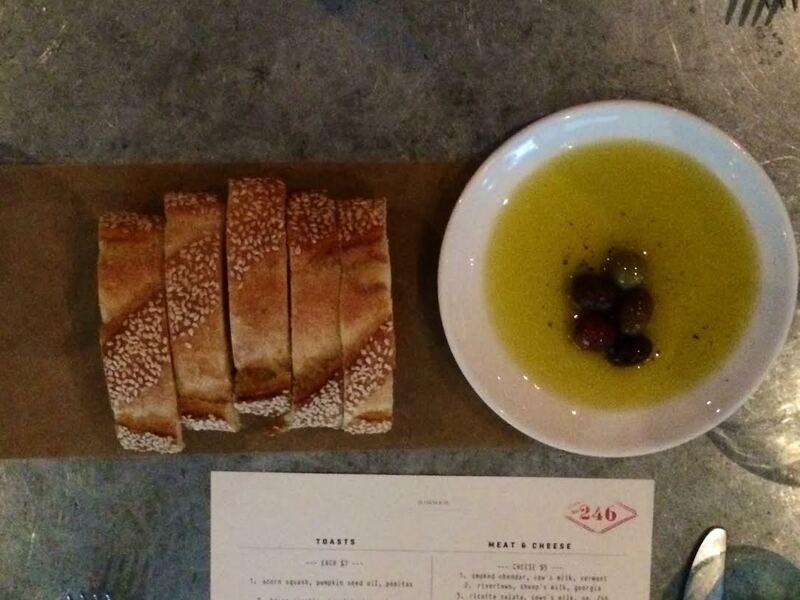 I highly recommend checking out 246. 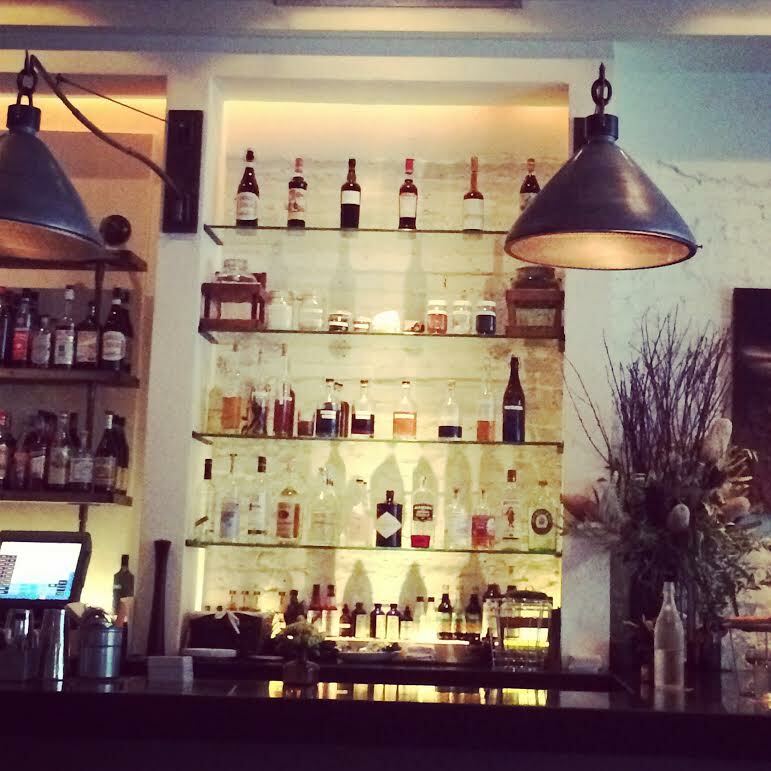 The food is mouthwatering, the drinks are excellent, and the restaurant itself is beautiful. To top it off, our server (I believe her name was Kristin) was one of the most knowledgeable I’ve ever had. She gave the most visual, interesting descriptions of the dishes and really helped us to understand the various Italian terms we weren’t familiar with. I’ll definitely request her next time we’re back. And to end this post, there’s this. 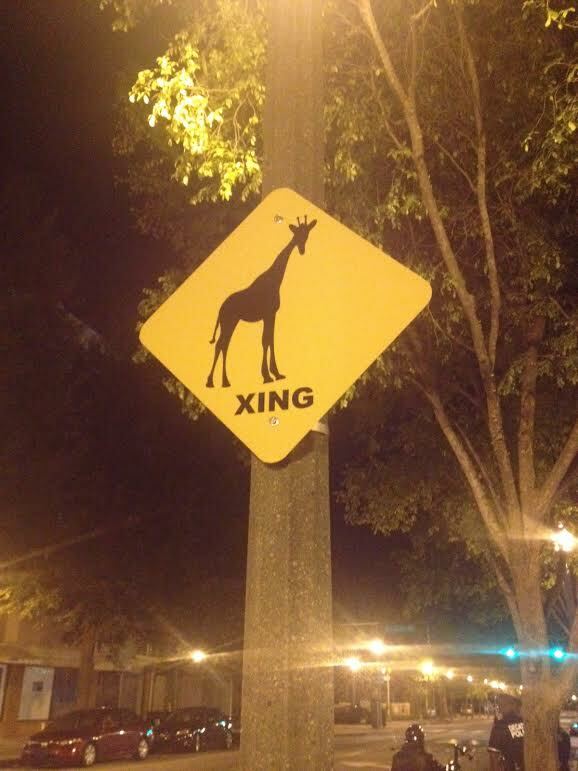 Who knew there were so many giraffes in downtown Decatur?